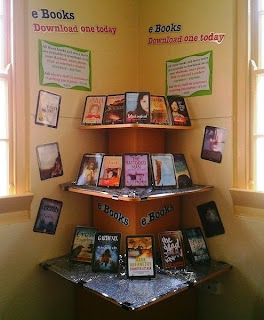 Thanks for this display Barbara. 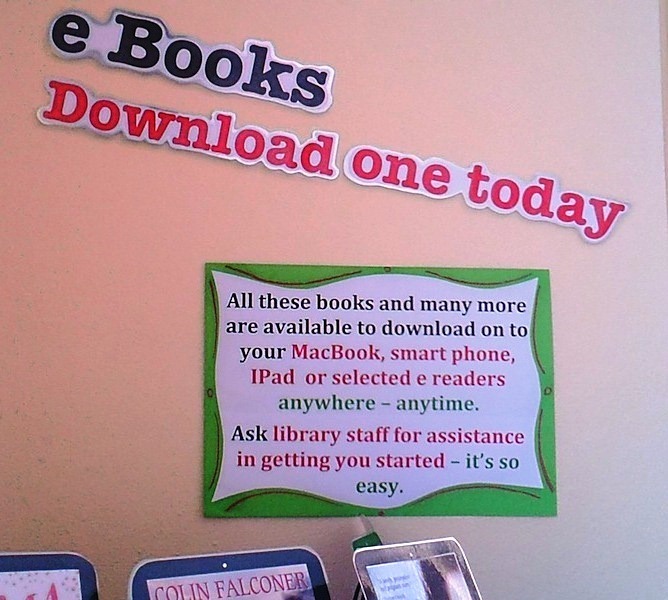 It's a really good idea to promote an eBook collection by display, they can otherwise remain a 'hidden' collection for many students who still browse the shelves rather than search the catalogue. 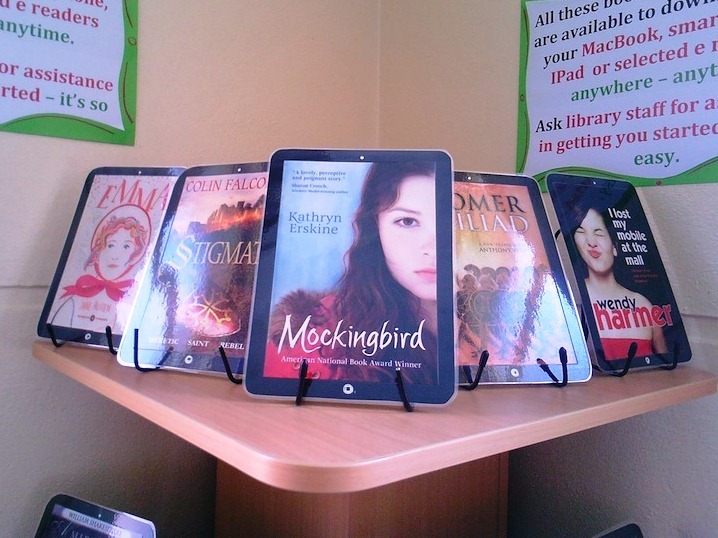 I like the way you have framed the book covers with an iPad. 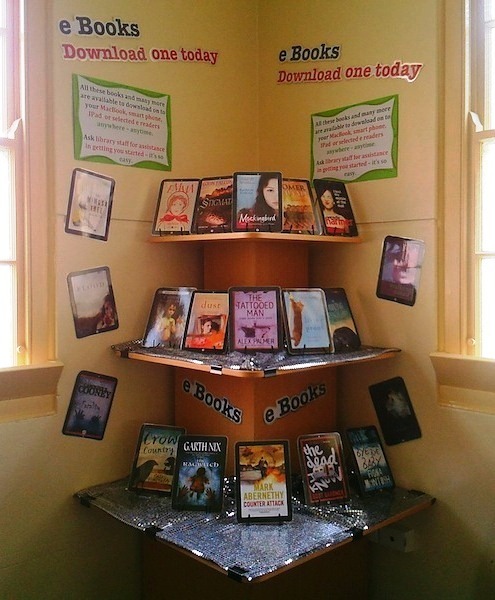 'Over the past twelve months our library has been building a collection of e books for use by students and staff. To date loans have been less than impressive. 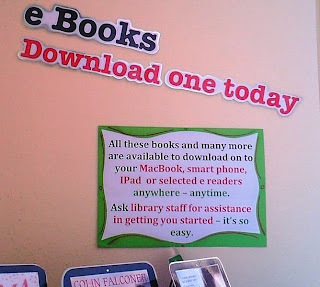 So to promote this new resource I decided to mount a display featuring some of the titles we have and reminding the students of the steps they need to follow to borrow an e book. Fingers crossed we may manage to spark some more interest in this new direction for libraries'. Are the "books" on display laminated pictures? It's hard to tell. Hi Terese - yes the "books" are laminated photocopies of real book copies - I think I sourced them from Google images. Hi Erica - I made my own template using an image of an iPad from Google images then cut them out of black card and drew the iPad features in white pastel. This looks great! Thanks for the inspiration.